My friendship with Lila began the day we decided to go up the dark stairs that led, step after step, flight after flight, to the door of Don Achille's apartment . . . I waited to see if Lila would have second thoughts and turn back. I knew what she wanted to do; I had hoped that she would forget about it, but in vain. 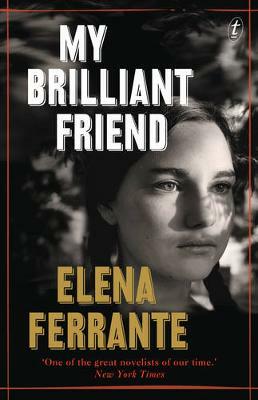 My Brilliant Friend is a ravishing, wonderfully written novel about a friendship that lasts a lifetime. The story of Elena and Lila begins in a poor but vibrant neighbourhood on the outskirts of Naples. The two girls learn to rely on each other ahead of anyone or anything else, sometimes to their own detriment, as each discovers more about who she is and suffers or delights in the throes of their intense friendship.